Since divorce is a process, you may be considered legally married for a period of time after you and your spouse have separated, with your joint life together continuing until the divorce is finalized. During this time, you will undergo the process of unwinding your joint life together, especially as it pertains to property and financial matters. You may be owed a refund from any joint taxes filed during the separation period, but before the divorce is finalized. Review your tax filings to determine if you and your soon-to-be ex-spouse are entitled to a tax refund. Determine your overall strategy for the division of property, which includes bank accounts and money owed to each of you. Negotiate, as part of your settlement agreement, how to divide your tax refund, as it is money owed to you as a couple for a period of time when you were still considered legally married. Depending on the state where you live, the tax refund may be considered community property if earned during the marital period. Divide or assign the tax refund in the settlement agreement. Banks: How Is a Tax Refund Treated in a Divorce? When a couple divorces, the court must divide all the joint property and debts. Although the parties often agree how to divide their property, the court must accept that division. Courts commonly divide federal tax refunds between the parties. 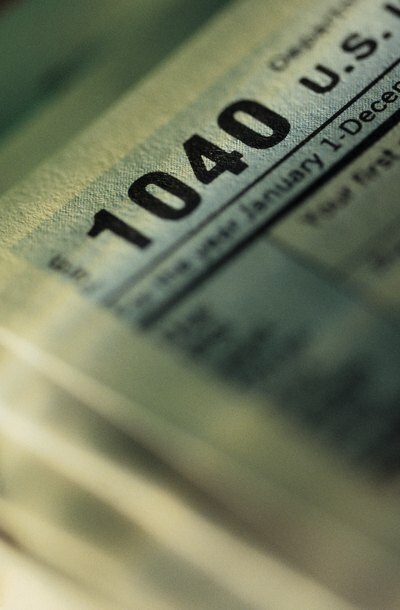 If the parties have not filed federal tax returns, the court will often order under what status they should file their returns, as well as how any refund will be divided.